In celebration of the 40th edition of the IRONMAN World Championship in Kailua-Kona, and its recent global bike partnership with IRONMAN, Ventum has unveiled the IRONMAN World Championship in Kailua-Kona Experience. 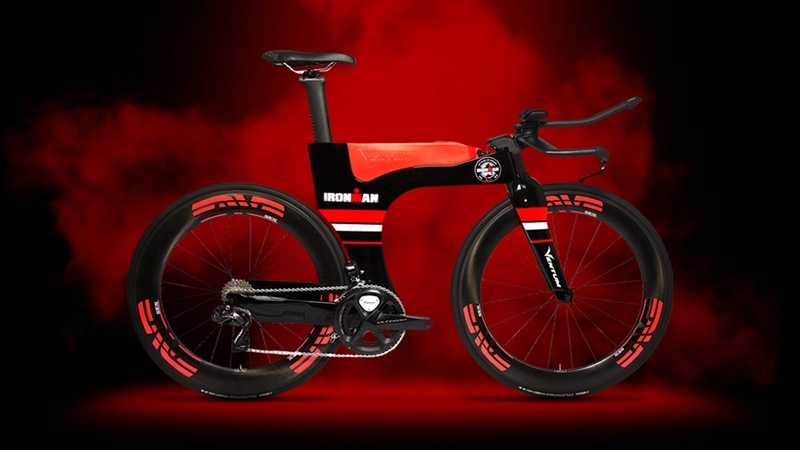 The company notes that with the purchase of its IRONMAN by Ventum branded Ventum One bike – fully equipped with ENVE wheels, Pioneer power meter, and Shimano Dura-Ace Components, a limited number of athletes will be offered the unique opportunity to register for the 2018 edition of the IRONMAN World Championship. Athletes who purchase either the IRONMAN by Ventum Kona Edition bike or IRONMAN by Ventum 40th Anniversary edition bike are eligible to receive a registration link to race at the IRONMAN World Championship in Kailua-Kona on October 13th, 2018. In order to be eligible for the opportunity to purchase a slot in the IRONMAN World Championships in Kailua-Kona the IRONMAN by Ventum bike order needs to be placed by Tuesday, August 28th. As a condition of participating in Kona using the Kona Slot, each Selected Athlete must first have completed, on a single day between August 26, 2017 and August 20, 2018 (the ‘Validation Period’), a mass-participation (minimum of 150 participants) triathlon consisting of, at a minimum, a 1.2 mile swim, a 56 mile bike ride, and a 13.1 mile run (a ‘Validation Race’). The validation requirement is to help prepare the athlete for participating in Kona. The Validation Race must be completed within the applicable maximum race cut-off time, and otherwise in accordance with all rules applicable to the Validation Race. The Validation Race is not required to be an IRONMAN-affiliated triathlon. An eligible 2018 race may, but is not required to, serve as the Validation Race (provided that the eligible 2018 race takes places during the Validation Period). So you can buy your way in !!!. Does this de-value the auction slots that serve charities? or is this a fact of business, ROI etc. Maybe next its a free slot with a pair of sunglasses? Please don’t lets get in to arguments about attention drawing celebrities doing Ironman when this goes on. Good or bad, its a suprise to see.